Canadian violinist Emily Redhead is a dedicated teacher with over ten years experience teaching privately and at music schools in Victoria and Montreal. Emily has received SAA approved training as a teacher of the Suzuki Method. She teaches in both private and group settings, and has been on faculty at several summer music programs, including the Greater Victoria Youth Orchestra Summer String Camp and the Comox Valley Music Centre. She has been on on faculty in the Suzuki program at École FACE, and in the after school program at Thorndale Elementary School. Emily was a co-founder of Sinfonia Mont-Royal, an ensemble program in Montreal for string players of all ages. Emily currently teaches privately in Montreal. Emily is also a versatile performer, actively working as a chamber musician and orchestral player. She is a founding member and co-artistic director of Les Amusements de la Chambre, an ensemble specializing in historically inspired performances of 18th- and 19th-century repertoire for keyboard and strings. Originally from Victoria, British Columbia, Emily is an alumna of McGill University, holds an ARCT Diploma in Violin Performance from the Royal Conservatory of Music, and has held a long-term Creative Music Residency at The Banff Centre. She has attended the Tafelmusik Summer Baroque Institute in Toronto and The 10th International Music Workshop and Festival at Schloss Kirchberg an der Jagst in Germany, is an alumna of the National Youth Orchestra of Canada, and has performed at the Boston Early Music Festival. Emily performs regularly in a number of ensembles and orchestras across Canada. A versatile soloist and chamber musician, and a specialist in both new and early music, Pemi Paull is a true 21st-century artist. He is the founder and artistic director of Warhol Dervish, an original and unorthodox chamber music collective based in Montreal. 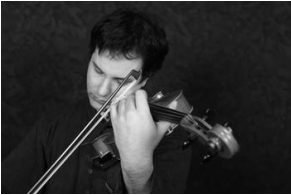 He appeared as soloist with the Orchestre Symphonique de Quebec in the premiere of "Debacle" by Denis Dion, as well as the Newfoundland Symphony Orchestra, and was the recipient of the 2002 CBC Galaxie Rising Star Award for Chamber Music. Pemi has been invited as a participant at Prussia Cove Chamber Music Festival in Cornwall, England, and Domaine Forget International Chamber Music Festival. Pemi's activities have brought him to the forefront of Montreal's contemporary music world. He is a member of three important new music ensembles in Montreal, Bradyworks, Ensemble Kore, and SMCQ. In addition, Pemi has premiered works for viola by composers including Scott Godin, Andre Ristic, Rose Bolton, Emily Hall, and Nicolas Gilbert, Michael Oesterle, and Tim Brady. He gave the Canadian premiere of "Prologue", for viola and electronic resonator, by French composer Gerard Grisey. Francois Tousignant, of Montreal's Le Devoir, wrote of the performance, "...Voila une maniere differente d'user de la 'monodie' d'autant plus convainquante que l'interprete, totalement engage, en fait resortir tout l'art inspire et inspirant." In the sphere of historical performance, Pemi is a member of the Juno award-winning Ensemble Caprice, with whom he has recorded six discs for Analekta, as well as Daniel Taylor's Theatre of Early Music.